M.E.C. 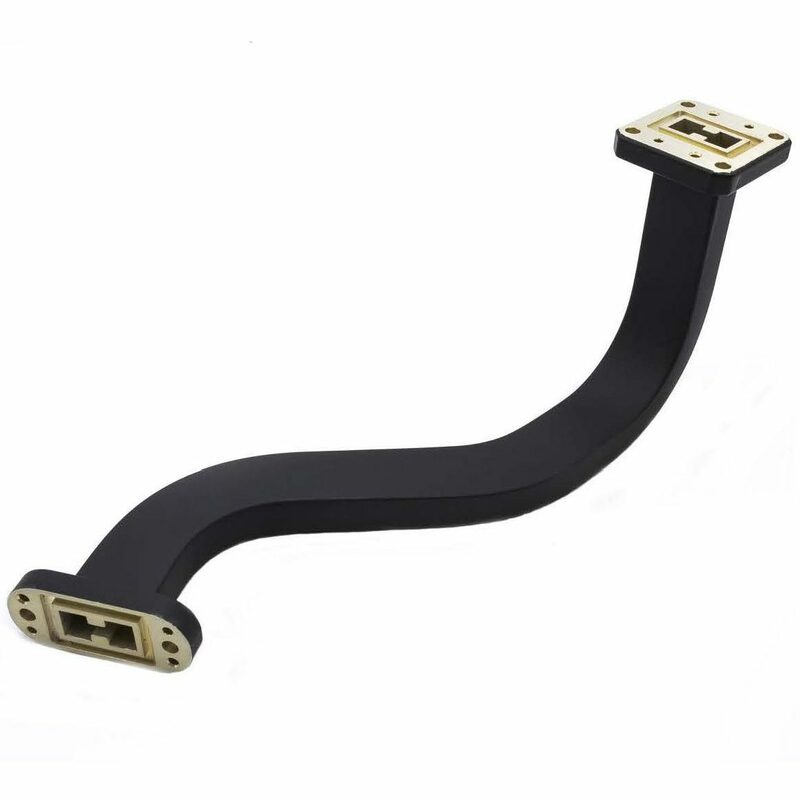 offers a complete line of double-ridge waveguide straight sections (R10 Series), E-bends (R120 Series), H-bends (R130 Series), and twists (R150 Series). 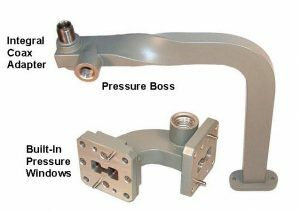 Customers have the flexibility to choose desired length, bend angles, and flange types and may request the integration of built-in pressure windows, pressurizing ports, valves, gauges, integral coaxial adapters (at one or both ends), bulkheads, and/or brackets for special mounting. Custom configurations combining multiple bends, rigid, and/or flexible sections with any of the above options may be made to customer drawings or by fit-checking in actual installation. The standard bends (listed below) can be formed, pressed, or machined depending on the desired application. 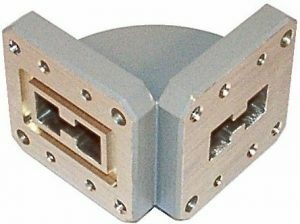 Insertion loss is the same as straight waveguide and VSWR is a 1.10:1 maximum. 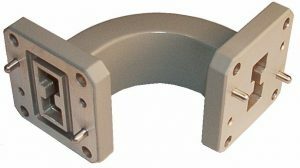 Waveguide is aluminum and conforms to MIL-W-23351, finished with chromate conversion per MIL-C-5541, Class 3, and painted with gray epoxy enamel on external non-mating surfaces. 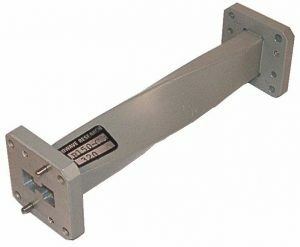 Length: Specify flange face-to-face length in inches. Unless otherwise specified, units are supplied as 90° bends or twists. 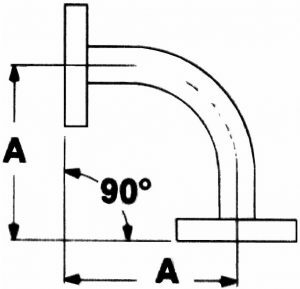 For angles other than 90°, specify the desired angle and leg lengths. 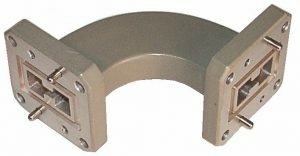 C1 cover flanges are standard. If not full band, specify desired frequency band to obtain best VSWR.